This past week I made it a point to work on florals as I came across a couple of bouquets just by chance. 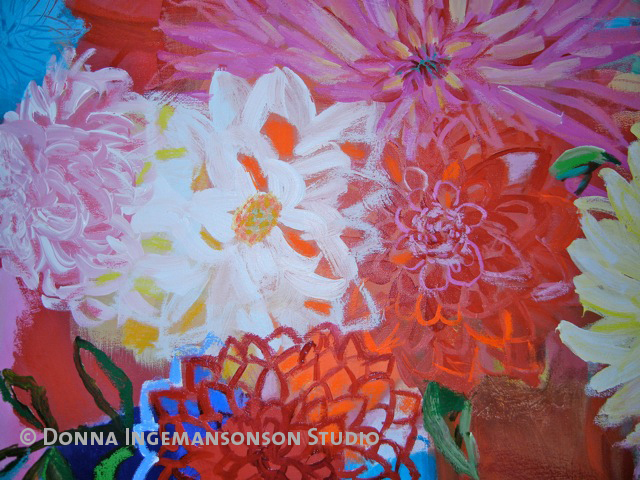 This is a detail of a 22″ x 30″ painting that was created so quickly and spontaneously. I had watched the movie Vincent and Theo over the weekend and was inspired by Van Gogh’s love of paint and color. 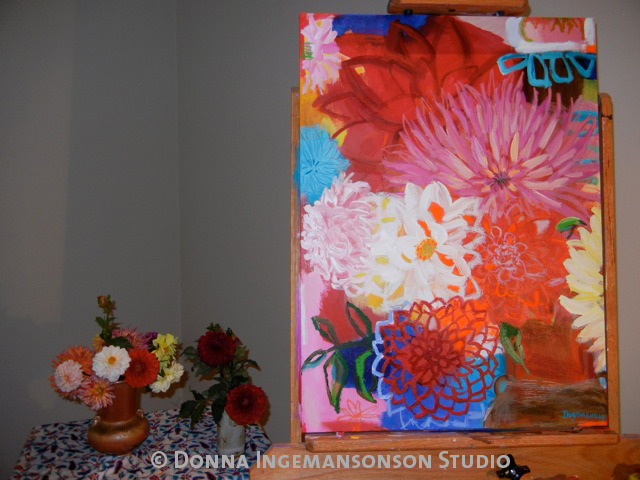 The vase of dahlias next to the completed canvas. Here are the dahlias that I found at a roadside farm stand in East Matunuck, Rhode Island. This is a beautiful area with lots of farms and beaches. If you’re in the area stop at East Matunuck Oyster Bar for incredibly fresh local seafood prepared thoughtfully. A small little floral study. This little painting was an attempt on my behalf to create a watercolor-like piece with acrylic paints. This bouquet was handpicked by a friend in Wellfleet, MA who has the most gorgeous garden right on Gull Pond. Saturday night is Gallery Night in Wellfleet. 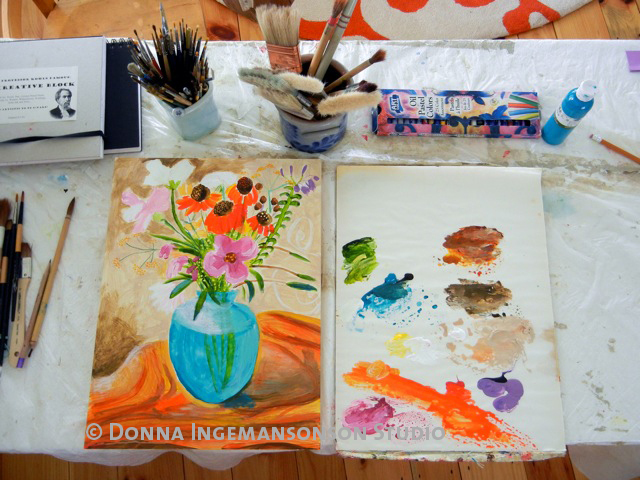 You are currently reading Floral Studies at donna ingemanson studio.